My RA and friend from college, Kate Conner, is now a published author. And I totally saw this coming. She's thoughtful, witty, and a phenomenal writer. She's been writing a blog for years and her stories and writings about life and motherhood/parenthood always keep me coming back for more. I have several of her posts bookmarked in my reading list that I come back to and reread on the hard days. 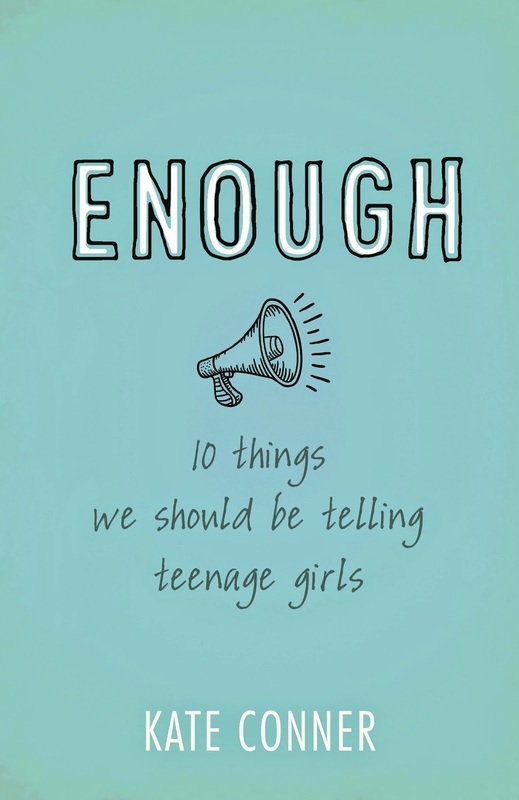 About two years ago, she wrote a blog post called, "10 Things I Want to Tell Teenage Girls." Well, this post blew up and rightfully so! In a matter of weeks, this post got millions of views. 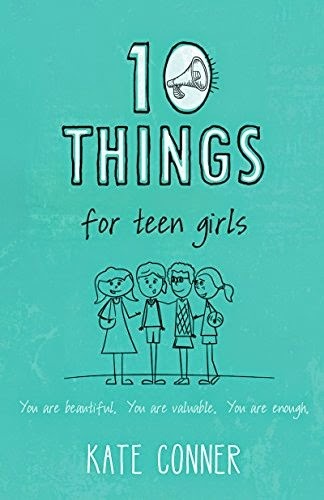 And thus created a launching pad for her to write books where she could fully delve into these 10 things we should be telling teenage girls and reach and even broader audience. On August 1, two of her books were released: one for the adult audience and one directed to teenage girls. She breaks down these 10 things from her original post, chapter by chapter, and talks about relevant subjects like modesty, social media, and boys. The way she writes makes you connect with what she's saying. She speaks language and about subjects that people relate to and understand. Like about watching The Bachelor, and caring about what other people think of you, and writing Facebook statuses. "Facebook doesn't cause drama, people cause drama. Facebook doesn't isolate you, you isolate you. Twitter doesn't waste your time, you waste your time. Twitter doesn't make anyone narcissistic, it gives people an outlet for displaying their previously existing narcissism." But most importantly, she incorporates the relevant, living Word of God throughout her book and reminds the reader of what God says and the truths we can stand on. And while I am no longer a teenage girl, I loved this book and found that the truths scattered throughout it stand the test of time and age. "Just because a thing is true, doesn't mean it's necessary. Not all truths are kind or loving or anybody's business." "The opinions of friends matter for one big, gigantic reason: relationships matter." "Love people well - and know that in doing so, there is no room for manipulation." "We are enough because God declares us so. This is the great scandal of the gospel." 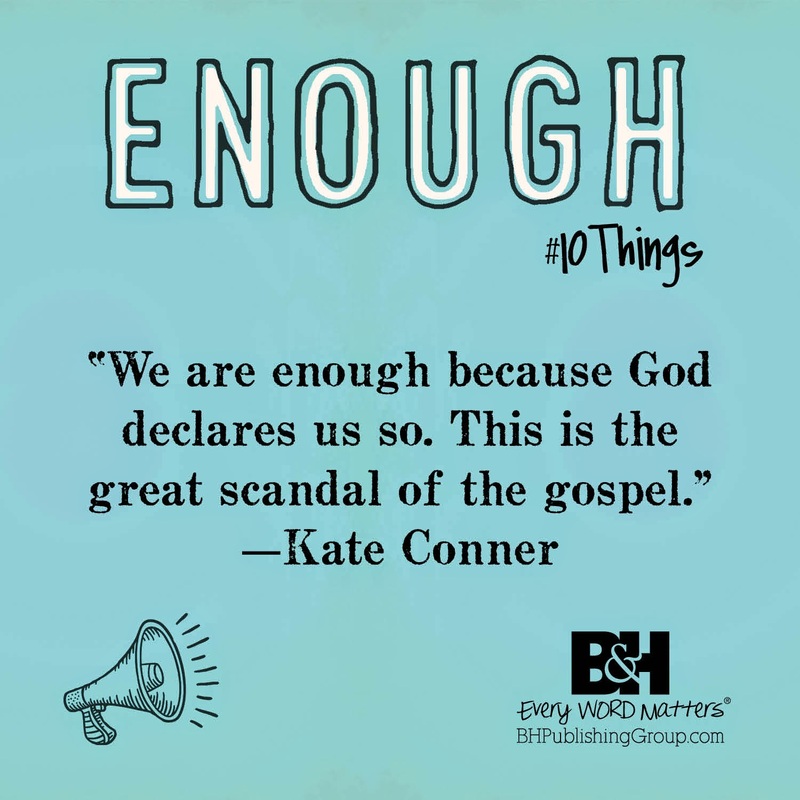 So, make sure you read Kate's original 10 Things post, and then go get your own copy! !